Brandt Wealth Advisors is an independent financial planning practice that invests in your happiness as much as your net worth. Our in-depth values discovery process goes deep to ensure that your financial plan reflects your priorities and personal goals. 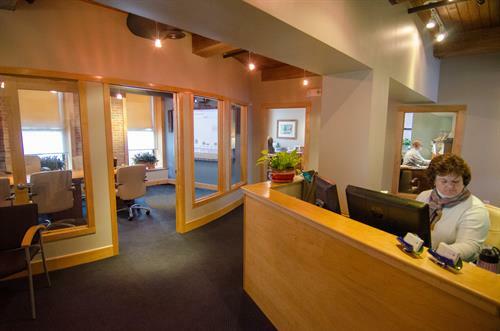 We offer investment advice through a registered investment advisor (RIA), so you can rest assured your best interests will always come first..
Friends and clients recently toured our beautiful new office space. Jean Houghton and Doug Stewart enjoyed the evening. 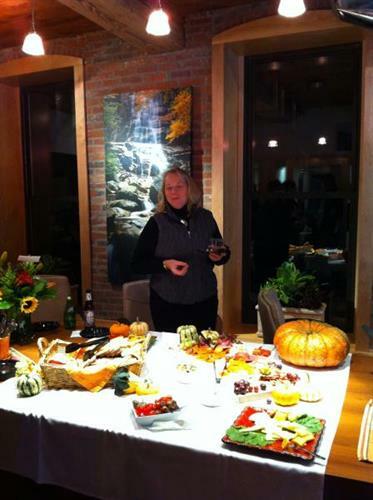 Heather Klein sampled the festive spread and beverages prepared by Carry Out Cafe. 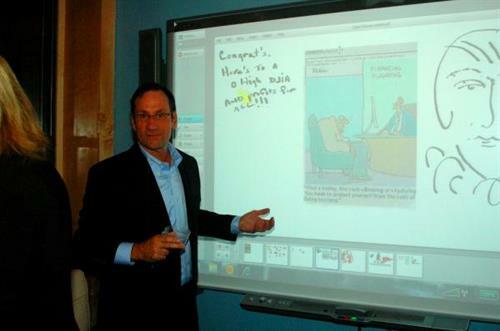 Bob had a little fun showing off the features of our new SMART Board. 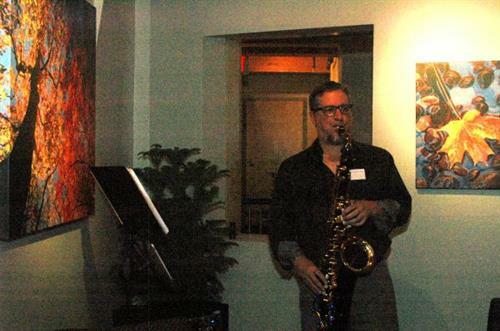 EJ Smooth set the mood with his sax stylings. 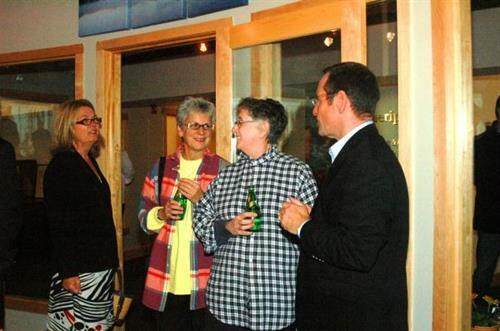 Kate Higgins was introduced to our upstairs neighbors Laurel Seneca and Brenda LeClerc. 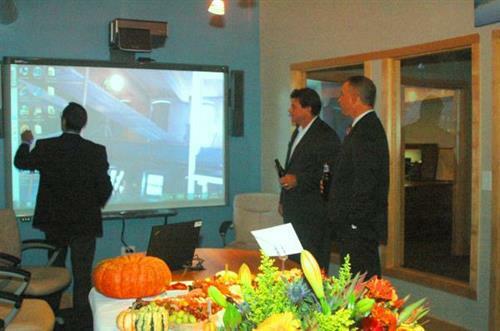 Bob showed slides of the early stages of the construction and build out of the space. 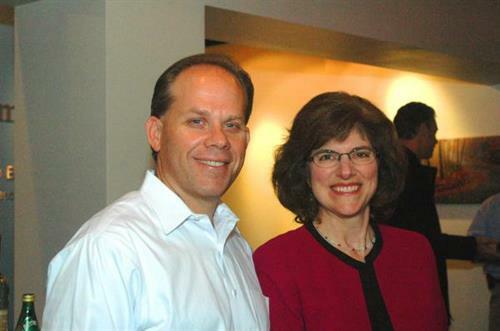 Administrative assistant Diane West and husband Ronnie. The SMART Board inspired the artist in everyone!